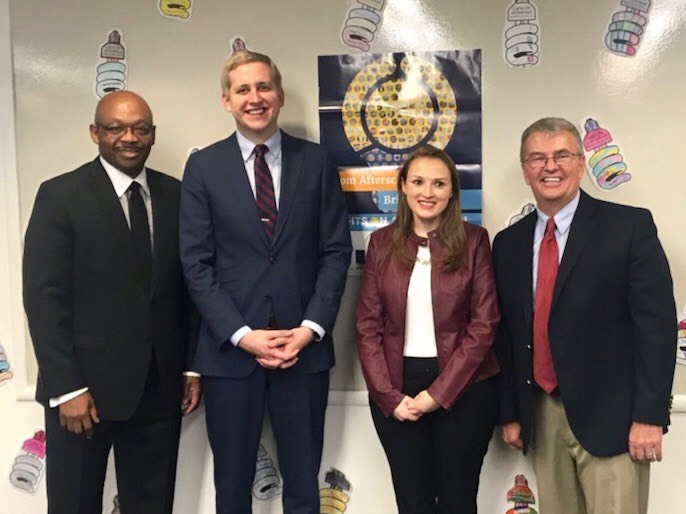 Rep. Will Davis (D-East Hazel Crest), Rep. Tom Demmer (R-Dixon), Susan Stanton of ACT Now, and Rep. Tom Bennett (R-Pontiac) at the ACT Now “State of Afterschool” presentation in Chicago on October 31. State Representative Tom Demmer joined leaders from throughout the State in touting a new website resource and report to find Afterschool programs for youth throughout Illinois. ACT Now created the Afterschool Map and Database to define the afterschool landscape for policymakers, help to better connect programs to one another, and help to better target resources to communities in need. According to ACT Now, youth who participate in afterschool programs demonstrate improved levels of academic achievement and significant reductions in problem behaviors.